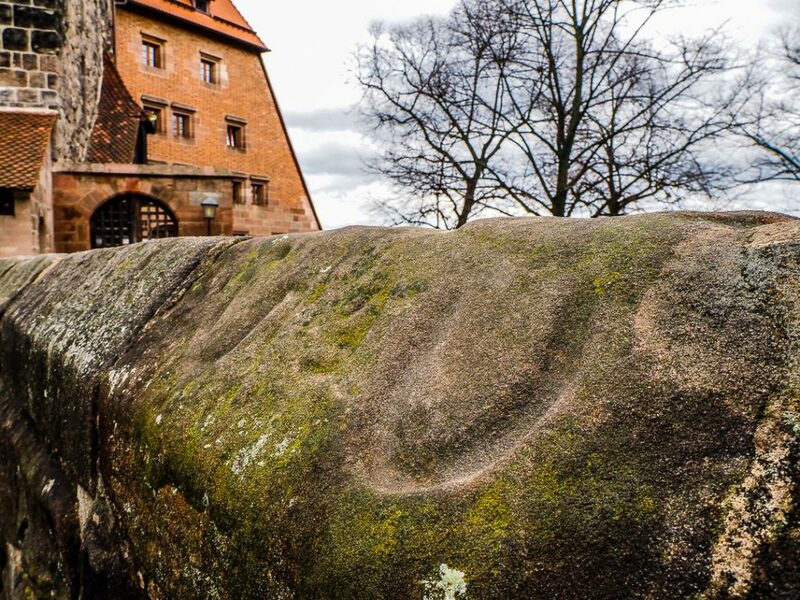 If you visit the Imperial Castle and lean over the sandstone wall a few meters to the left of the pentagonal tower on the north wall, you will see the alleged hoof print of the horse of the knight Eppelein von Gailingen. 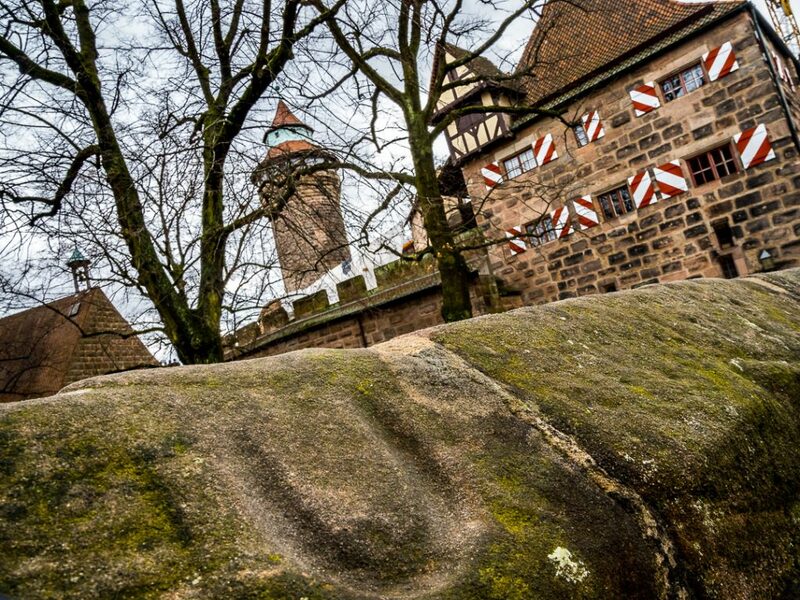 Eppelein was a wealthy nobleman who, like so many other “noble” contemporaries, had made a name for himself as a robber and had done his mischief in the area around Nuremberg. Legend has it that the robber knight, once finally captured by the city guards, has avoided imprisonment by jumping with his horse over the moat at this very sport on the northern castle walls. Apart from the fact that the moat (today 30 meters wide and 10 meters deep) was only a few meters wide at that time, it is unclear whether the legend is based on a true event, but it makes for a nice story. In the end Eppelein’s heroic jump did not save him. He got his punishment anyway: In the year 1381 he was captured in the vicinity of the nearby town of Neumarkt and executed with his sword bound on a wheel. I’m glad that neither I nor my M1X made the trip into the 30ft moat while we were hanging across the wall trying to get the horseshoe imprint and the castle into the picture. If you want to go shooting on the weekend and are looking for tips and inspirations around photography, check out my free Learning Center. I always love a good tale! Thanks for sharing this one Marcus!! What an interesting story. Legends are always fun whether true or not. That’s quite a funny story, Marcus, perfectly demonstrated with your images. What a great story, Marcus — whether it’s true or a bit embellished. Lovely photos too. Have a wonderful weekend! Thanks, Heide, as always 🙂 …. Really unseen photographs of Eppeleins horse shoes at the castle. His story is still fascinating up to nowadays. May I guess, a kind of selfie stick might have supported your pictures? Have a nice weekend and Easter holidays as well. So interesting, we may never know all the details.